"Service to the stone industry"
The Manta ED 50 range of stone saw is an economical heavy-duty cutting machine having an accurate operation. Being absolutely versatile, it is suitable to process all materials by the builder's yard. It is equipped with a submersible pump placed inside the base for the water collection cooling the blade. 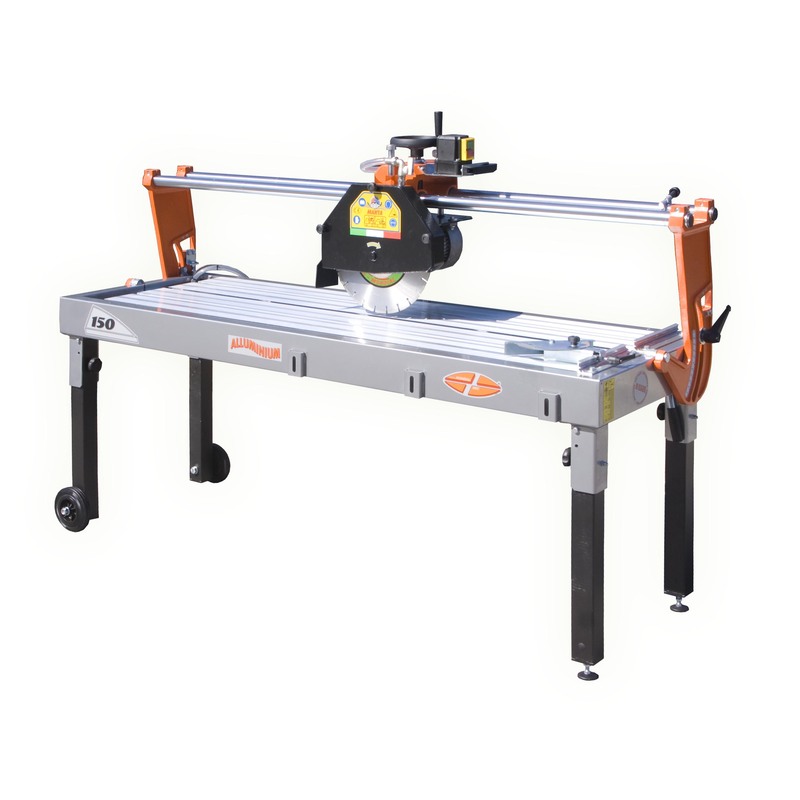 The Mondial Manta stone saw ED 50 is a rugged heavy duty and yet inexpensive stone saw. 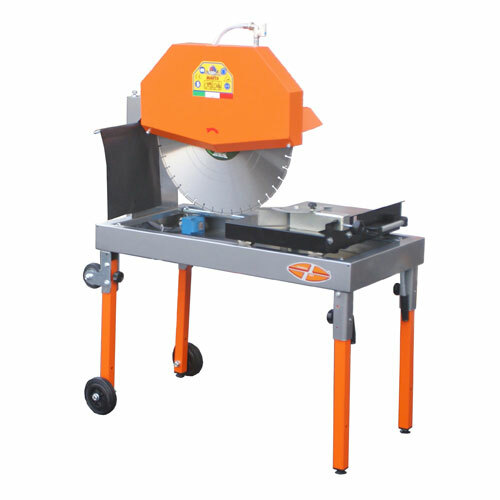 This manta stone saw is an extremely versatile machine, suitable for all stone types, including natural stone, granite and concrete. 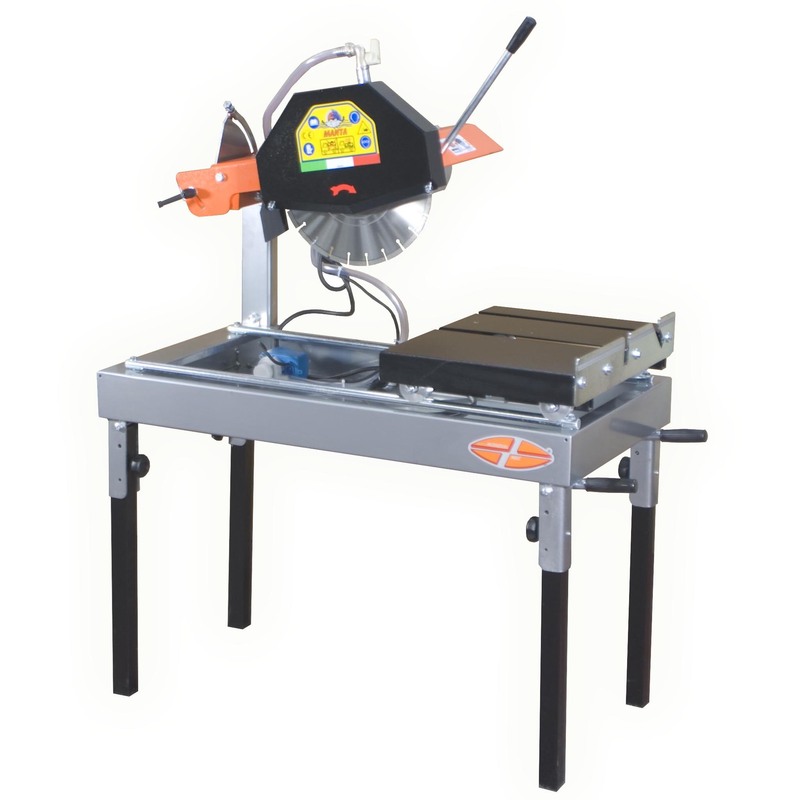 This is an ideal saw for stone masons and building companies alike. 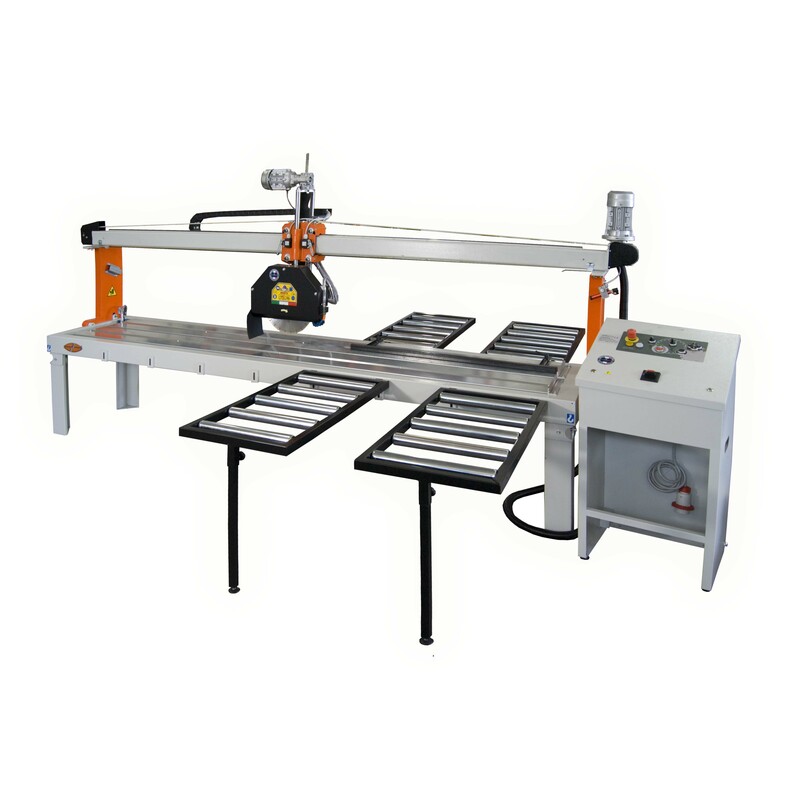 The ED 50 bench saw is designed so that the legs are easily removed, allowing the machine to fit into a van for easy transportation to site. Equipped with a submersible water pump and a base which doubles as a water reservoir, ensures the Manta Ed 50 is truly a portable machine. It is a proven product, having been in service throughout the stone industry for many years. Quarry Machinery: Chain Saws: Wire Saws etc.